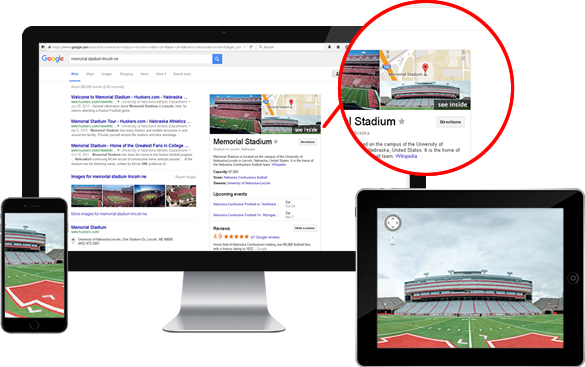 Google Accounts for 67% of Searches - Makes it easy for new potential customers to see your business before visiting by taking a panoramic virtual tour of your business by helping them understand all the great things you have to offer them. Local Search Results Lead 50% of Mobile Users to Visit a Store - Enhanced SEO and visibility on Google search results. Allows customers to see your businesses unique qualities – ambiance, points of interest, decor, amenities, food offerings, technology ‐ to attract new business. 4 in 5 Consumers Conduct Local Business Searches - Allows new customers to find your business quicker and easier with enhanced business presence on Google searches and maps while increasing the number clicks for your business and driving traffic to your website. Premium quality photo shoots work around your schedule, and the results are live on Google in just a few weeks. Not to mention there is only a one time fee for our services so the benefit is yours for years to come with no additional cost to you the business. Allows new customers to find your business quicker and easier with enhanced business presence on Google searches and maps while increasing the number clicks for your business and driving traffic to your website. Helping Businesses Gain Exposure and Grow!